Deadboy's stuff is everywhere, I think he might be part of CityNews. 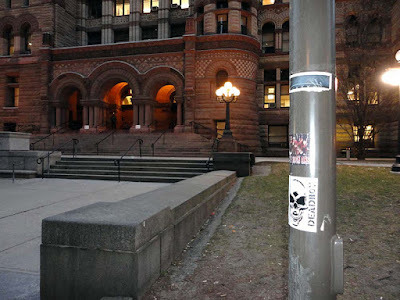 I found a sticker with the Deadboy skull on a light pole in front of #Toronto Old City Hall at Queen St West and Bay Street. 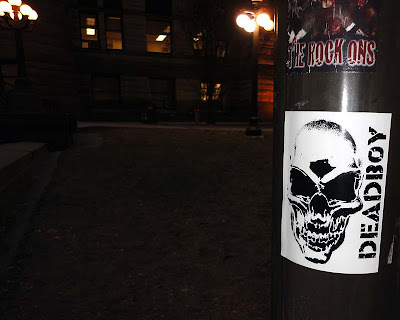 It was very early and I was finishing my commute to work, walking north on Bay Street when I caught sight of the scary skull and I was afraid.